Barbados leaves for Dresden Olympiad! 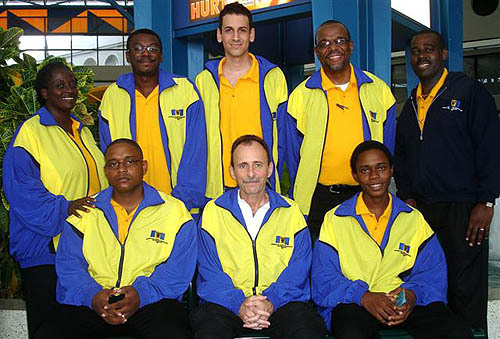 The Barbados Contingent for the 38th World Chess Olympiad departed from Grantley Adams Airport today on British Airways for Dresden, Germany. Based on teams registered, Dresden will not only be a reform Olympiad, due to the many new regulations introduced, but also a record-breaking Olympiad, beating Turin 2006 with 154 teams in the Men’s Section and 116 teams in the Women’s section. 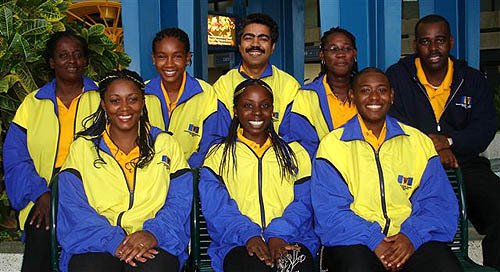 Barbados will be fielding a full contingent of both Men’s and Women’s Teams for only the third time since its debut on the world stage in 1986 at Dubai and has drawn considerably on its up-and-coming junior players, which comprise 50% of the team membership. Also accompanying the Barbados Contingent is International Arbiter Rohan Waithe who is one of only ten Arbiters drawn from the Americas Continent to officiate as a Match Arbiter at Dresden. Other participating countries from the English Speaking Caribbean include Trinidad & Tobago which will also be fielding Men’s and Women’s Teams and, Jamaica, the US Virgin Islands and the British Virgin Islands which are sending only a Men’s Team. Russia with an average FIDE Rating of 2756 and an all Grandmaster cast of Vladimir Kramnik, Alexander Morozevich, Peter Svidler, Alexander Grischuk and Dmitry Javokenko are the seeded number one and would certainly be highly favoured dethrone Defending Men’s Champions Armenia who are seeded 9th with an average rating of 2677. In the Women’s section, Russia also tops the Seedings with an average rating of 2491, featuring a team lead by newly crowned Women’s World Champion Grandmaster Alexandra Kosteniuk and four International Masters, Tatiana Kosintseva, Nadezhda Kosintseva, Ekatrina Korbut and Elena Tairova. The Defending Women’s Champion Ukraine are seeded 2nd with an average rating of 2486 and will surely be looking to retain their title in the face of the strong Russian challenge.